Age-related macular degeneration (AMD) is an eye disorder that affects the macula, which is the part of the eye that enables people to see in focused and fine detail. The eye disease is also known to destroy the organs’ sharp, central vision. According to a Med Line Plus entry, AMD is the leading cause of vision loss among U.S. patients aged 60 and older. The entry adds that AMD is categorized into two types: dry AMD and wet AMD. Dry AMD occurs when the light-sensitive cells in the macula slowly break down, which then leads to gradual loss of central vision. The condition may take five to 10 years before vision loss impacts a patient’s daily life. An early symptom of dry AMD is when straight lines appear crooked. On the other hand, wet AMD occurs when abnormal blood vessels develop under the macula. The entry stresses that these new blood vessels often leak blood and fluid. Wet AMD is known to set in much faster than its dry counterpart. Age-related macular degeneration is generally associated with reduced visual acuity, contrast sensitivity, and central vision distortion. Patients with dry AMD may suffer from blurry, less defined eyesight, and reduced color perception. Likewise, these patients may experience difficulties in recognizing faces and may require a brighter light than normal when reading. An article posted on the National Health Service website also reveals that patients with wet AMD may experience visual distortions, hallucinations, and blind spots. In addition, patients with AMD are also at an increased risk of suffering from cardiovascular conditions such as heart attack and stroke. 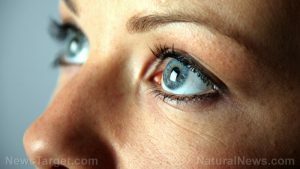 The eye disorder is found to affect two percent of people 50 years and older, eight percent of patients aged 65 and older, and up to 20 percent of people aged 85 and older. Age-related macular degeneration is particularly harmful to eye health. Likewise, the disease may also affect the body’s cardiovascular profile. A Medical News Today entry notes that while dry AMD is not curable, a plethora of treatments for wet AMD are currently available in the market. According to the article, these treatments include anti-vascular endothelial growth factor (VEGF) drugs and nutrient supplements. The article also reveals that more sophisticated treatments like photodynamic therapy and stem cell therapy can be used on patients. Innovative devices and artificial intelligence like implantable telescopes and the Robo4 are underway as well. Age-related macular degeneration reduces visual acuity and contrast sensitivity and causes central vision distortion. Age-related macular degeneration may trigger hallucinations, blind spots, heart disease, and strokes. Age-related macular degeneration is particularly detrimental to eye health. Age-related macular degeneration may also negatively impact the cardiovascular system.